As I have reported since the initial Virginia outbreak of Hepatitis A linked to Tropical Cafe Smoothies, the ongoing investigation has now spread to seven states and 102 people, of which 39 have been hospitalized. As of today, no deaths have been reported. As of September 9, 2016, victims from seven states have been identified. The CDC’s ongoing investigation of this outbreak of Hepatits A continues to identify new cases related to the initial contaminated product. Nearly all the ill people who were interviewed indicated that they had consumed smoothies containing strawberries at Tropical Smoothie Cafe locations before August 8, 2016. Even though the contaminated fruit is no longer on the menu, with an incubation period of up to 50 days, more related Hepatitis A cases could be identified in the upcoming weeks. My firm has filed class-action lawsuits and complaints on behalf of injured people related to this outbreak. If you have questions about this litigation, please contact me. Mr. Zambri has been successful in litigating food poisoning cases. 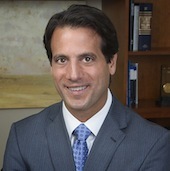 He is knowledgeable and experienced in handling the unique complexities involved in food poisoning litigation.